Suddenly a living body with a hole in my body appeared before humanity from another world from 2017. A surprising fact was found by the research at the Yokosuka Junior High School Biological Division. They are from ancient times It seems he was lurking after changing her appearance to Japanese food called Chikuwa. At Hamnovision, we succeeded in decoding and visualizing the letters left by them. We named them Chikwaise. And I would like to introduce their loving way of living to the whole world. 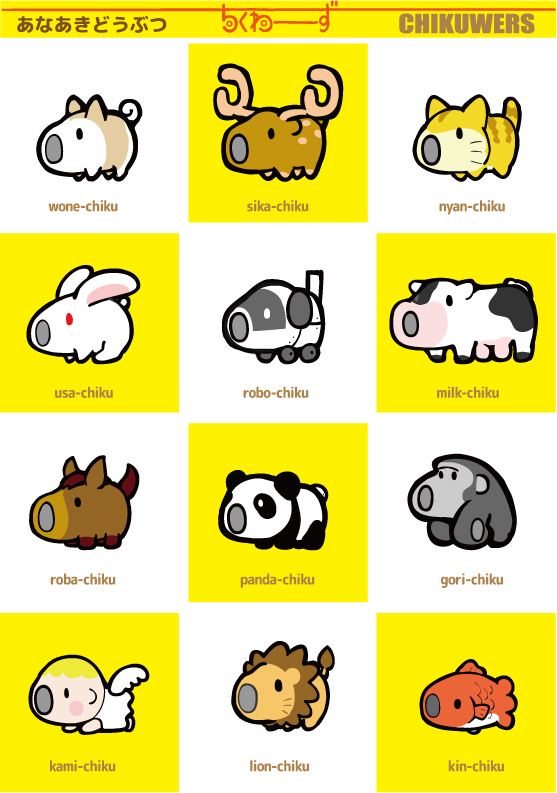 "Chikuwars" is a design of animals most suitable for toys, accessories, etc. It is based on Japan's popular food "Chikuwa", which is characterized by a hole in the center. 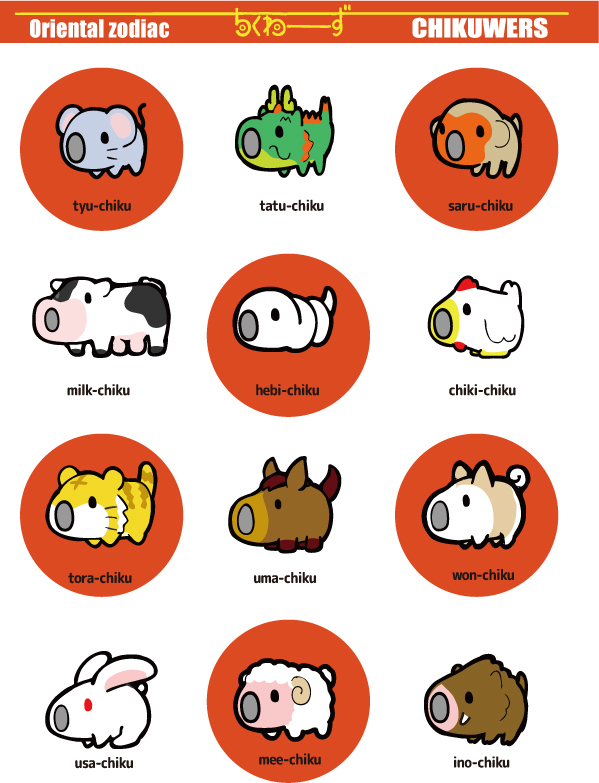 There are many kinds of animals and will continue to increase. 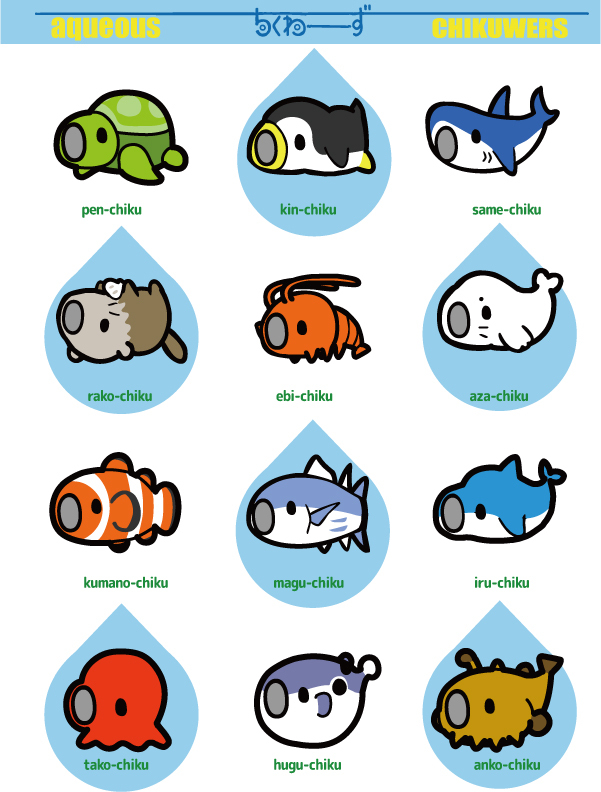 This time the zoos, aquarium and zodiac design I will introduce you. 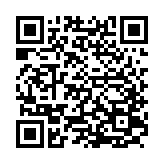 We will also produce designs according to your request. We are looking for companies that can produce three dimensional products such as figures, plush toys and accessories. copyright©2015 studiohamunobivion Real Estate all rights reserved.